Here is another delicious and easy dessert to make at the last minute. I did not make my own angel food cake but all the power to you if you want to make your own! The only thing this recipe requires you to do is make the strawberry sauce to top your cake! 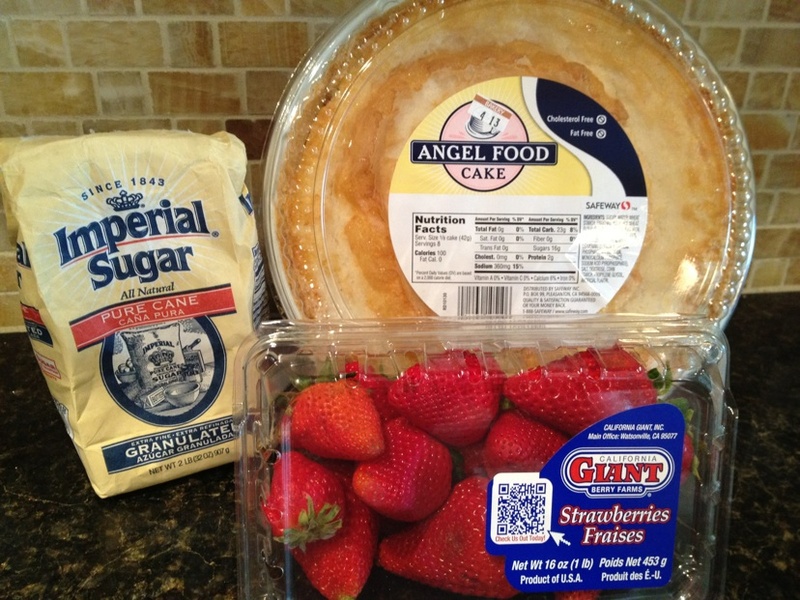 Remember angel food cake is much healthier than pound cake but either will work in this recipe. 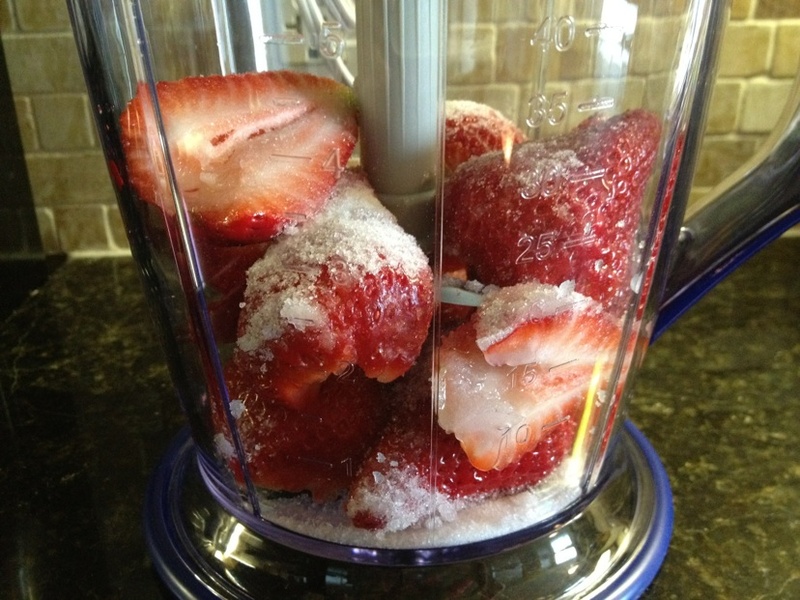 Place strawberries and 2 Tbsp of sugar in a blender or food processor. Puree but don't puree it to death! Leave some little pieces for texture. Taste and make sure it is sweet enough. If not, add more sugar. It should be somewhat thick since you are not adding any extra juice! 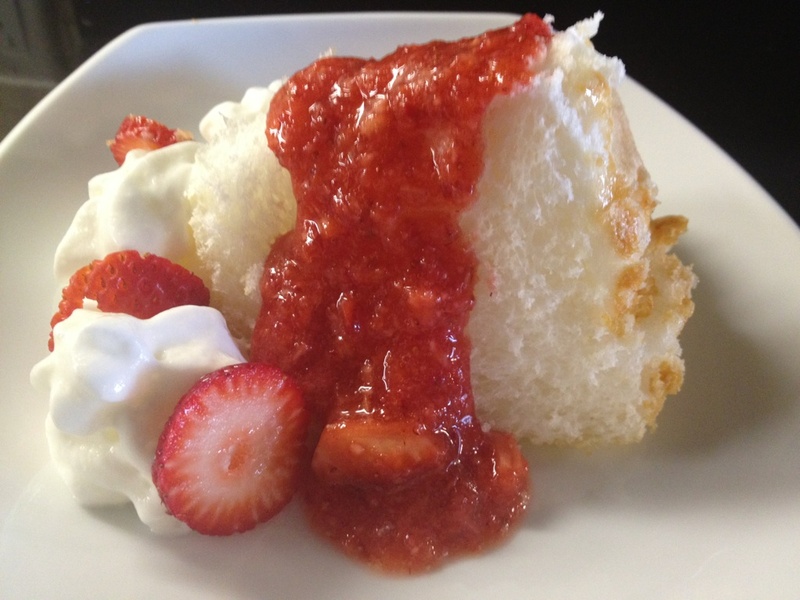 Top a slice of angel food cake with a few tablespoons of the strawberry sauce. Garnish with whipped cream and fresh strawberries to your liking! Strawberry sauce yields about 2 cups. If you have red grapes (not green), you may use half strawberries and half grapes or simply add 1 cup of red grapes to the recipe. 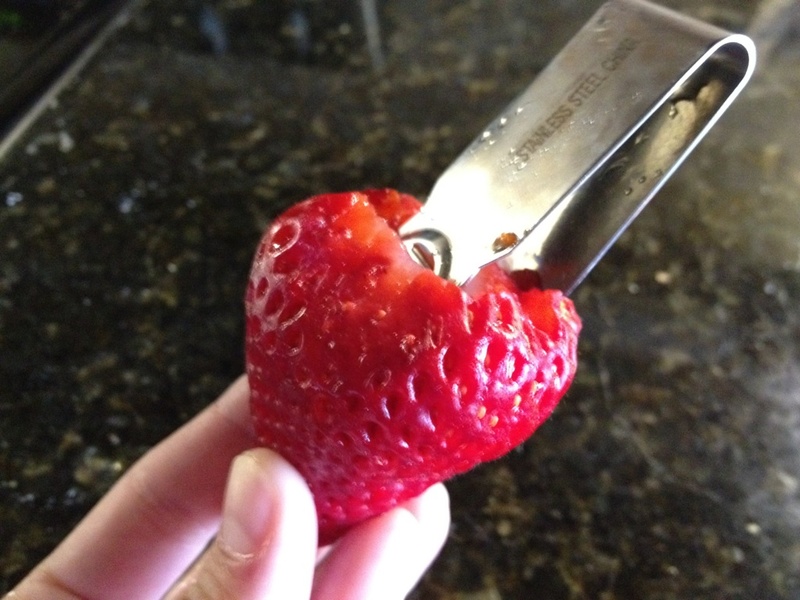 Just taste and add more sugar or sugar substitute to taste. If you do not want a whole angel food cake, the grocery store has halves or at least the store I go to does! Count on using at least 1/2 of an angel food cake for 4 people.